John Billingsley, ‘Collective Amnesia? How reliable is local memory?‘, Northern Earth 117 (Spring 2009) p.20-22. David Shepherd, ‘Prehistoric Standing Stones in the South Pennines‘, HAS Transactions New Series 17 (2009) pp15-31. Nigel Smith, ‘The medieval park of Erringden: creation and extent in the fourteenth century‘, Transactions of the Halifax Antiquarian Society 2009, 17 (New Series), 32-57. Dave Shepherd and Frank Jolley, ‘An interim account of rock markings in the South Pennines’, Yorkshire Archaeological Society Prehistory Research Section Bulletin, 2008, No 45, pp54-59. Nigel Smith, ‘Cruttonstall vaccary: the extent in 1309’, Transactions of the Halifax Antiquarian Society 2008, 16 (New Series), 18-23. Ian Bailey, with Mary Browne and Janet Speak, ‘Population and People’, In Pennine Perspectives, edited by I. Bailey, D. Cant, A. Petford, N. Smith. Midgley: Midgley Books, 2007 Chapter 6 pp71-86. Ian Bailey, ‘”Sacrificed at the Shrine of Avarice”? Child Labour and the Growth of the Factory System’, In Pennine Perspectives, edited by I. Bailey, D. Cant, A. Petford, N. Smith. Midgley: Midgley Books, 2007 Chapter 17 pp213-226. Ian Bailey and Alan Petford (eds), Midgley Probate Records 1531-1731. Indexed by Nigel Smith. Midgley: Midgley Books, 2007. John Billingsley, ‘Finding the Past’, In Pennine Perspectives, edited by I. Bailey, D. Cant, A. Petford, N. Smith. Midgley: Midgley Books, 2007 Chapter 3 pp31-36. John Billingsley, ‘Families, Friends and Neighbours: Folklore and Cultural Tradition in Midgley’, In Pennine Perspectives, edited by I. Bailey, D. Cant, A. Petford, N. Smith. Midgley: Midgley Books, 2007 Chapter 12 pp133-152. John Billingsley, Folk Tales from Calderdale: Place Legends and Lore from the Calder Valley, Volume 1. Mytholmroyd: Northern Earth, 2007. 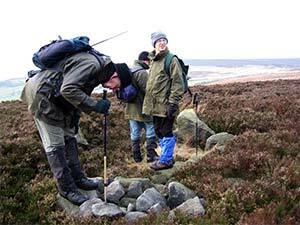 John Billingsley, A Laureate’s Landscape: Walks around Ted Hughes’ Mytholmroyd. Mytholmroyd: Northern Earth, 2007. David Cant, with Merial Evans, Pauline Ford, Hannah Palfreeman and Chris Toole, ‘Village Trades and Services in the Victorian Era’, In Pennine Perspectives, edited by I. Bailey, D. Cant, A. Petford, N. Smith. Midgley: Midgley Books, 2007 Chapter 22 pp289-302. Jane Clyde and Veronica Gregory, ‘The Midgley Pace Egg Play: An Overview’, In Pennine Perspectives, edited by I. Bailey, D. Cant, A. Petford, N. Smith. Midgley: Midgley Books, 2007 Chapter 13 pp153-172. Ian Emberson, ‘“The Likeness of a Kingly Crown”: John Milton’s Influence on Charlotte Brontë’, Brontë Studies 2007, 32(3), pp207-216. Ian Emberson, ‘The Sorrows of Young Philip’, The Gaskell Society Newsletter 2007, 43, p12. Ian and Catherine Emberson, ‘A Missing Link: the Brontës, the Sowdens and the Listers’, Brontë Studies 2007, 32(2), pp116-124. Sheila Graham, ‘Demagogues or Debaters? 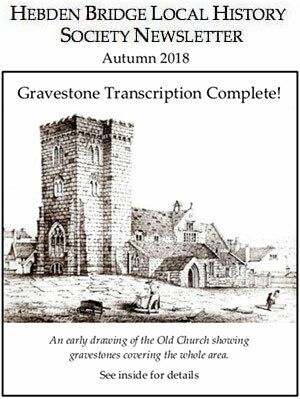 A Study of Chartist Speeches Reported in the Halifax Guardian and the Northern Star between 1838 and 1839’, Transactions of the Halifax Antiquarian Society, 2007, 15 New Series, pp112-132. Patricia Lester, with Eileen Furey, ‘The Murgatroyds: A Study in Paternalism’, In Pennine Perspectives, edited by I. Bailey, D. Cant, A. Petford, N. Smith. Midgley: Midgley Books, 2007 Chapter 20 pp253-270. Alan Petford, ‘Of Meres and Bounders: Disputes, Maps and Boundaries’, In Pennine Perspectives, edited by I. Bailey, D. Cant, A. Petford, N. Smith. Midgley: Midgley Books, 2007 Chapter 7 pp87-94. Peter Robinson, ‘The Room Numbering Systems of the Halifax Piece Hall (1778-2007)’, Transactions of the Halifax Antiquarian Society, 2007, 15 New Series, pp33-52. Dave Shepherd, ‘Prehistory in the Midgley area’, In Pennine Perspectives, edited by I. Bailey, D. Cant, A. Petford, N. Smith. Midgley: Midgley Books, 2007 Chapter 2 pp15-30. Dave Shepherd, ‘Monuments and Mountains’, Northern Earth, 2007, 111, pp27-29 (Book review). Nigel Smith, ‘The Location and Operation of Demesne Cattle Farms in Sowerby Graveship circa 1300’, Transactions of the Halifax Antiquarian Society, 2007, 15 New Series, pp17-32. Nigel Smith, ‘Medieval Settlement’, In Pennine Perspectives, edited by I. Bailey, D. Cant, A. Petford, N. Smith. Midgley: Midgley Books, 2007 Chapter 4 pp37-46. Nigel Smith, ‘Farming before the Nineteenth Century’, In Pennine Perspectives, edited by I. Bailey, D. Cant, A. Petford, N. Smith. Midgley: Midgley Books, 2007 Chapter 5 pp47-70. Justine Wyatt, with others, Power in the Landscape: Water Powered Mills in the Upper Calder Valley, Hebden Bridge: Alternative Technology Centre, 2007. Ian Emberson, Messages from Distant Shores (poem), Todmorden: Angria Press, 2006. Ian Emberson, Yorkshire Lives and Landscapes, Stroud: Sutton Publishing, 2006. Dave Shepherd, ‘Stand By Your Stone’, Northern Earth, 2006, 07, pp17-21. Ian and Catherine Emberson, ‘A Necktie and a Lock of Hair: the Memories of George Feather the Younger’, Brontë Studies 2006, 31(2), pp159-162. Dave Shepherd, ‘Standing For What? 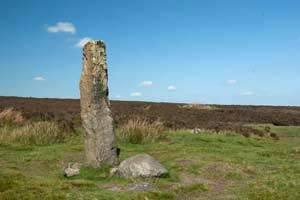 Standing Stones in the South Pennines.’ Megalithic Portal http://www.megalithic.co.uk/article.php?sid=2146412695. Dave Shepherd, ‘South Pennines: the prehistory so far.’ Yorkshire Archaeological Society Prehistory Research Section Bulletin, 2006, No 43, pp36-40. John Billingsley, 'History for the Ley Person; updating alignment hypotheses: Part 1', Northern Earth 2005, 102, pp19-22. John Billingsley, 'History for the Ley Person; updating alignment hypotheses: Part 2', Northern Earth 2005, 103, pp19-22. Ian Emberson, Pilgrims from Loneliness: an interpretation of Charlotte Brontë’s ‘Jane Eyre’ and ‘Villette’. Haworth: The Brontë Society, 2005. 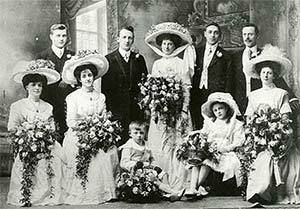 Ian Emberson, ‘A Forgotten Wedding Custom and “Jane Eyre”’, The Gaskell Society Newsletter 2005, p11. Ian and Catherine Emberson, ‘Turns in the Circle of Friendship: ‘Uncle Fennell’, 1762-1841’, Brontë Studies 2005, 30(2), pp141-150. John Billingsley, 'Earth Mysteries is dead - long live earth mysteries!' Northern Earth 2004, 98, pp22-26. John Billingsley, 'A New Line on the Ley? ', Northern Earth 2004, 99, pp8-9. John Billingsley, 'Folklore's Lurking Evils', Northern Earth 2004, 99, pp21-23. Ian Emberson, ‘My Spirit’s Sky: Astronomy and the Brontës’, Brontë Studies 2004, 29(3), pp253-256. Issy Shannon and Frank Woolrych, Alice’s Album: the Story of a Hebden Bridge Photographer’s Studio, Hebden Bridge: Milltown Memories, 2004. Dave Shepherd, ‘Local Monuments for Local People’, Northern Earth, 2004, 98, pp12-19. John Billingsley, 'Taking the Long View: Richard Long and the experience of space'. Northern Earth 2003, 94, pp19-23. Ian Emberson, ‘Viewing the Promised Land’, [John Browne – local poet – lived at Slack Top], Hebden Bridge Times 3rd January 2003, p6. Ian Emberson, ‘A Wreck just sinking: the beginning of “Jane Eyre” and the ending of “Villette”’, Brontë Studies 2003, 28(1), pp89-90. Ian Emberson, The Snake and the Star and other Prose Poems, Todmorden: Angria Press, 2003. Dave Shepherd, ‘Prehistoric Activity in the Central South Pennines’, in Transactions of the Halifax Antiquarian Society, 2003, Vol 2 New Series, pp13-38. John Billingsley (ed. ), Aspects of Calderdale: discovering local history, Barnsley: Wharncliffe Press, 2002. John Billingsley, 'Archaeology of the Mouth: Ted Hughes & his Birthplace', in J. Billingsley (ed. ), Aspects of Calderdale: discovering local history, Barnsley: Wharncliffe Press, 2002, pp137-150. Ian Emberson, ‘And I am so plain…’ Brontë Studies 2002, 27(1), p67. John Billingsley, 'Different Places, Different Spaces: perspectives on sacred space'. Northern Earth 2001, 85, pp24-27. Ian Emberson, ‘Often rebuked yet always back returning: the poem itself’, Brontë Society Transactions 2001, 26(1), pp68-70. Ian Emberson, ‘The Dramatis Personae of Innocence & Experience’. [William Blake] Acumen 2001, 41, pp29-32. Ian Emberson, ‘The Raging Puppet and the Naked Girl: the art of Bohuslav Barlow’, Aireings 2001, 41, pp51-53. Ian Emberson, ‘Puppets over the Pennines’ [Bohuslav Barlow], Yorkshire Journal 2001, 36, pp34-41. Ian Emberson, ‘Thurstonland’. In Memories of Thurstonland and Stocksmoor, 2000, pp68-70. Ian Emberson, ‘Why Christmas used to be a prickly business’[Holly Wreaths], The Countryman, 2000, pp70-72. Colin Spencer, A Century of Change, Edited by Diana Monahan, Hebden Bridge: Hebden Bridge Literary & Scientific Society, Local History Section, 1999.